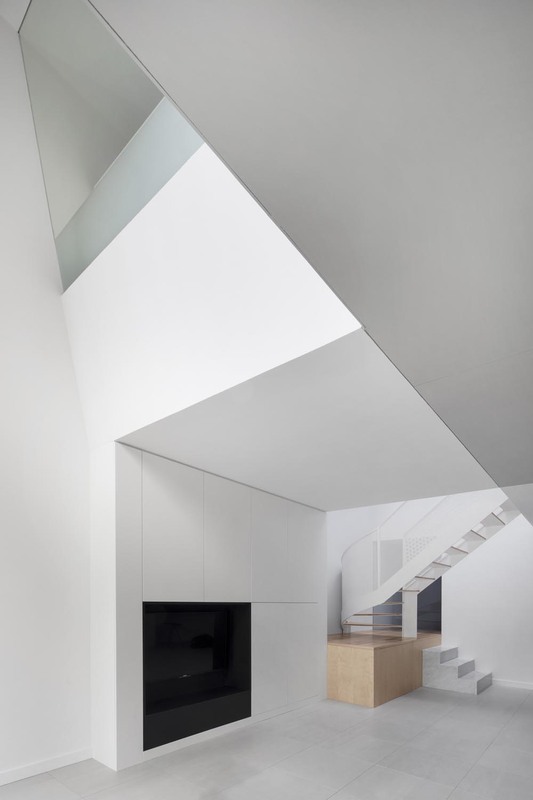 Suspended above the dining room, a grey angular volume sheltering the master bedroom cantilevers out over the garden terrace. 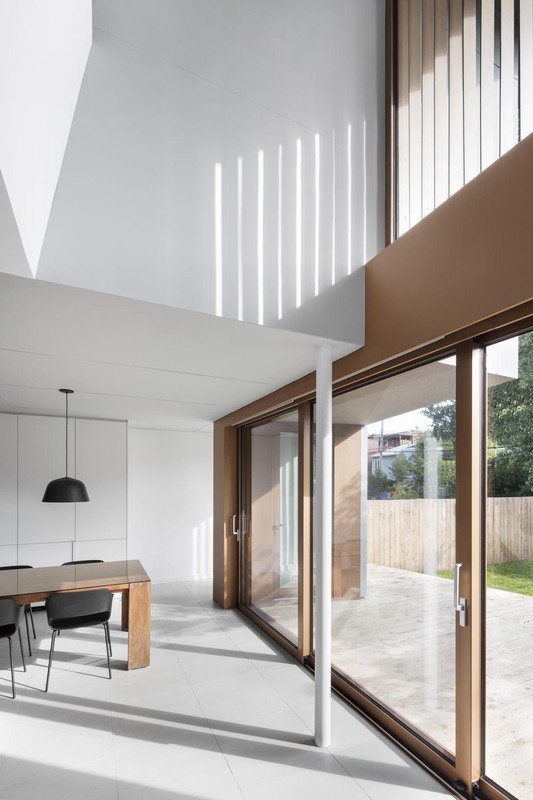 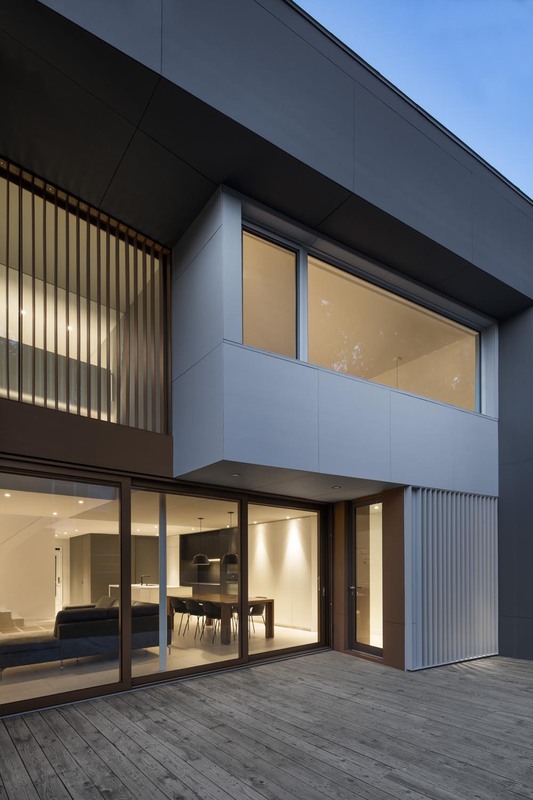 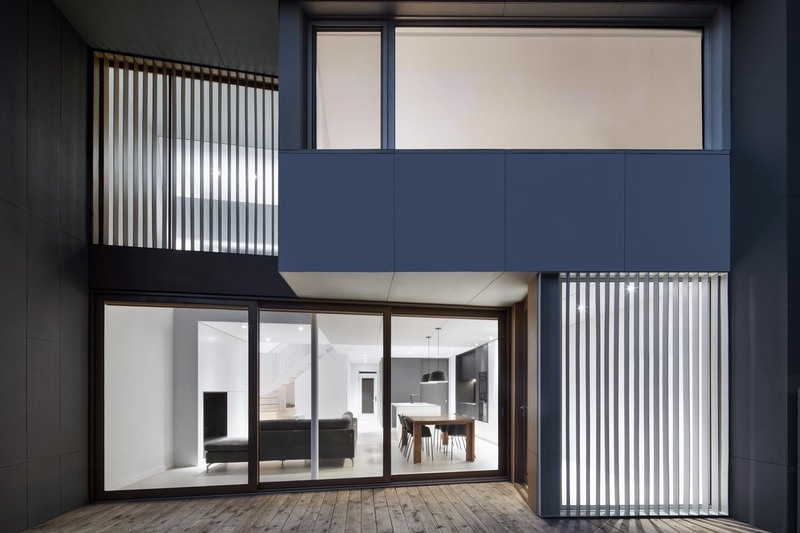 For more intimacy, a pair of steel blades unfolds in front of two large panes of glass over the garden façade filtering the views from the neighbours and modulating the natural light coming into the living spaces. 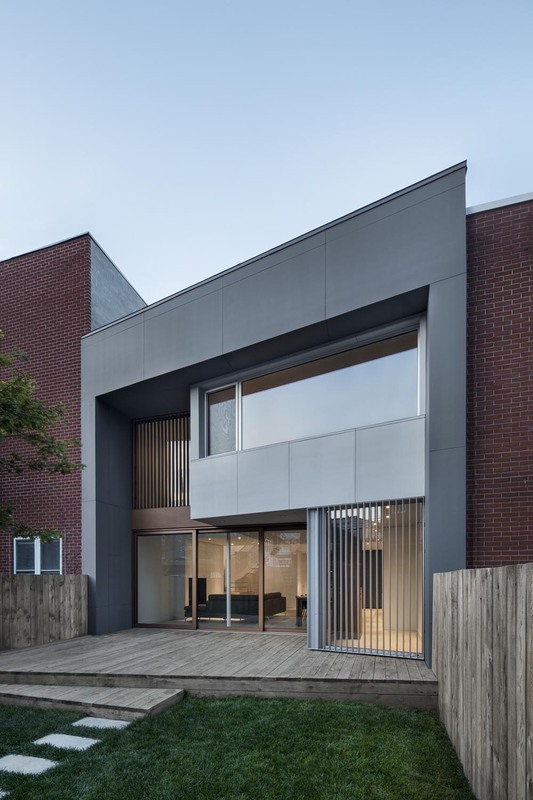 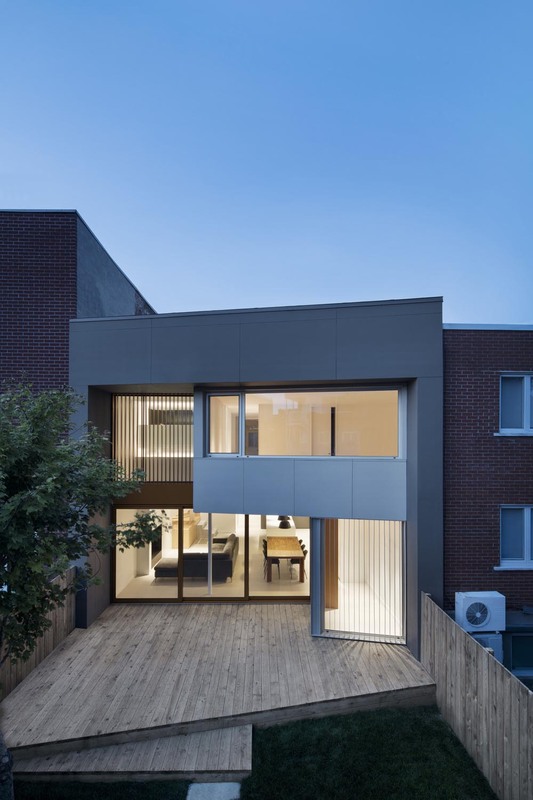 Wishing to create an effect of depth on the garden façade, two tones of colours are used; one gray tone for the suspended volume covered in fibrocement boards and an other in copper for the windows, steel blades and the patio door in the recessed portion of the back wall. 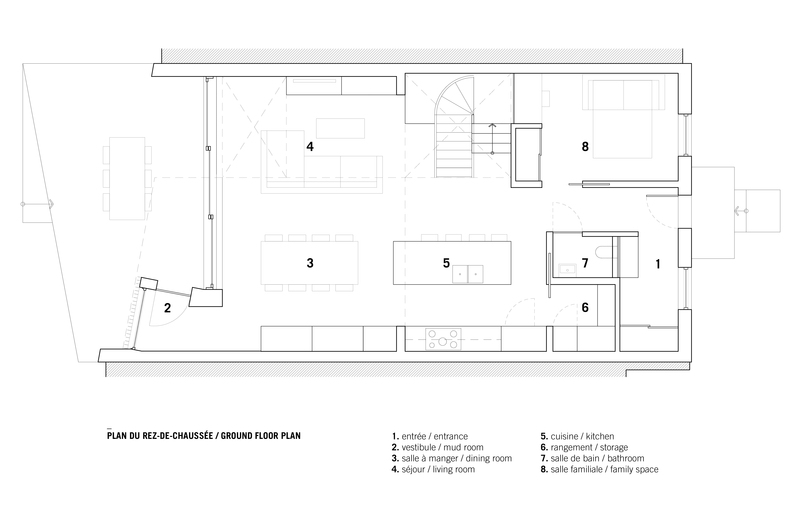 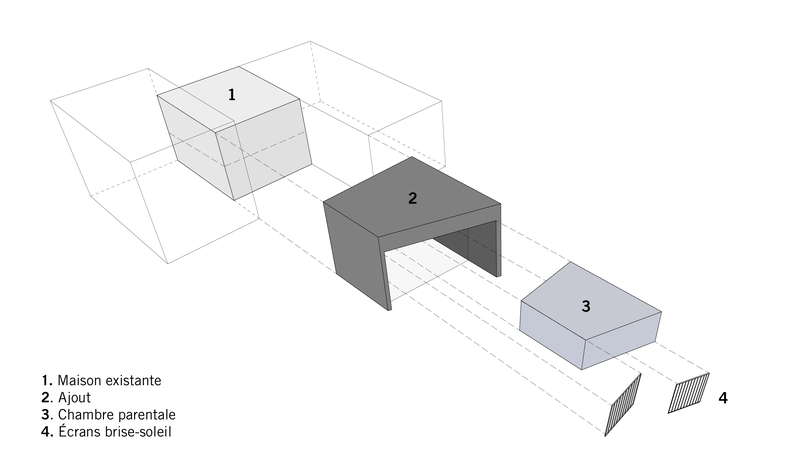 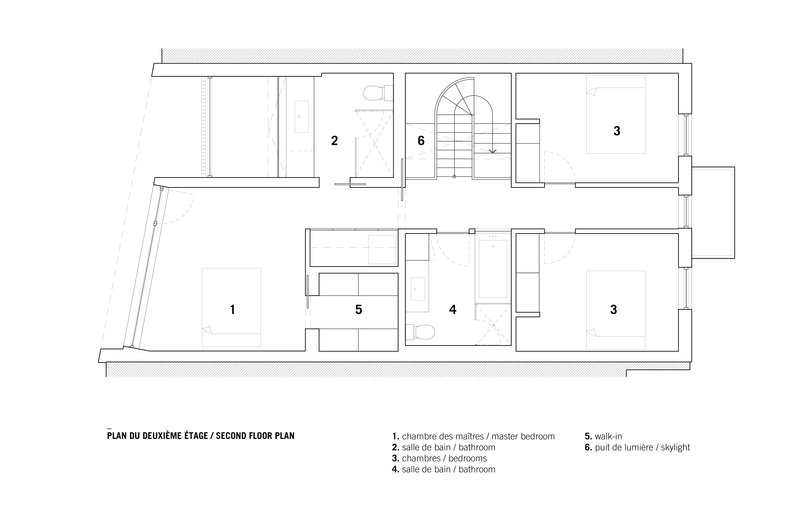 An angular frame like structure connects both immediate neighbours as a result of their differences in the protrusions of their constructions. 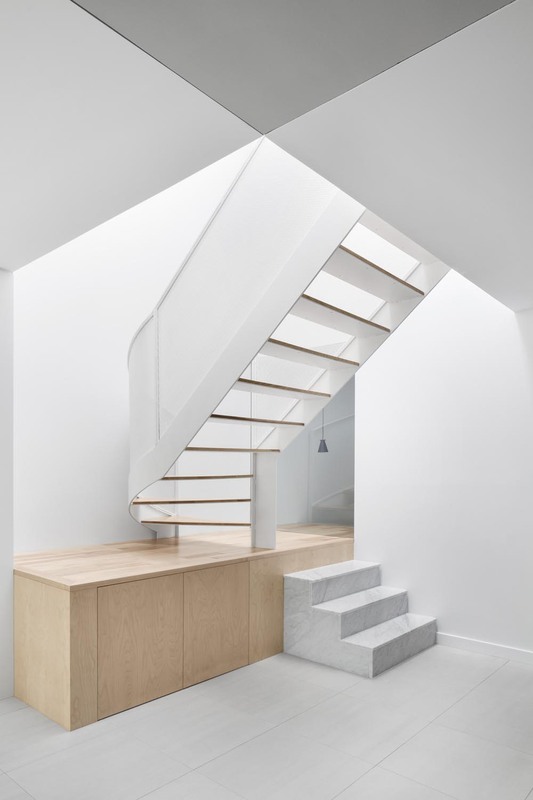 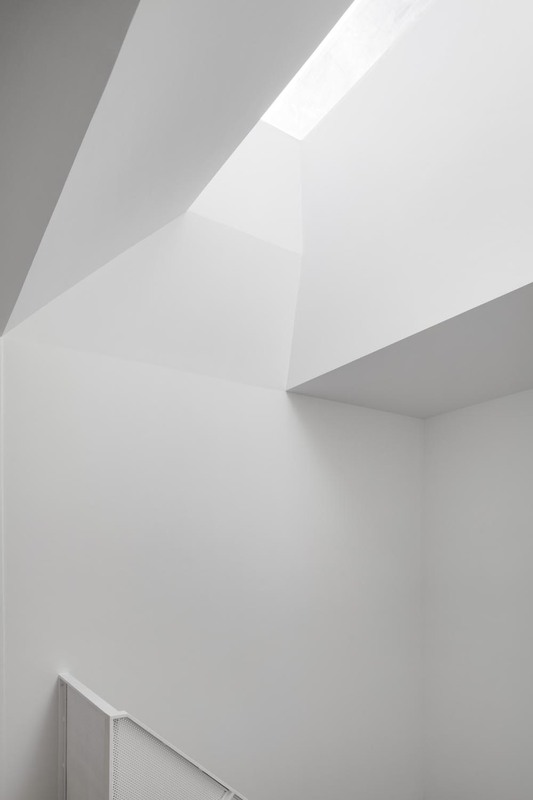 Within the house, a staircase positioned directly under a generous skylight becomes the focal element of the house. 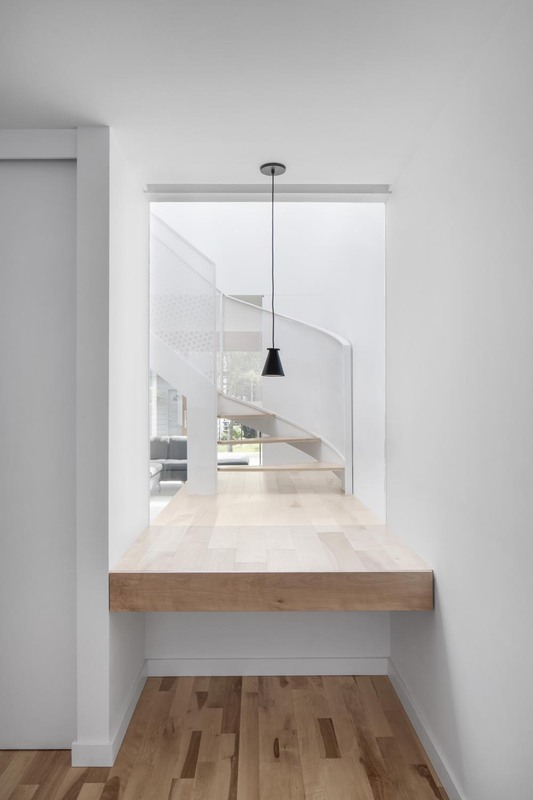 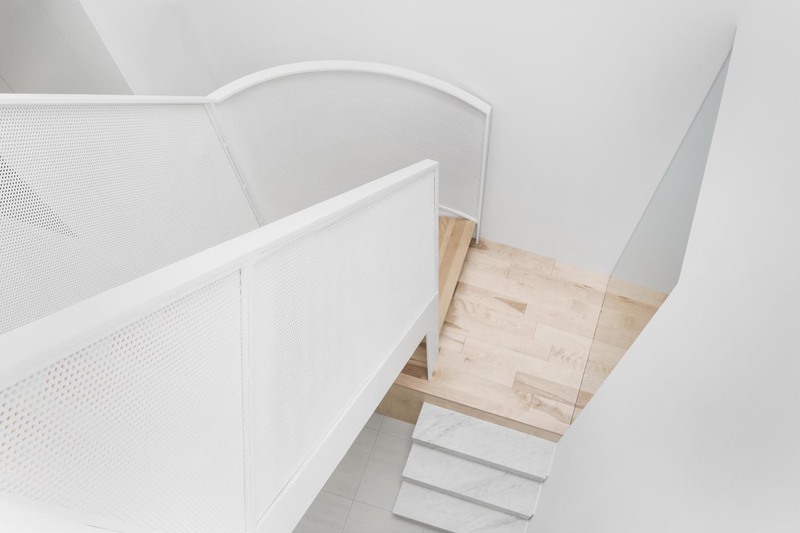 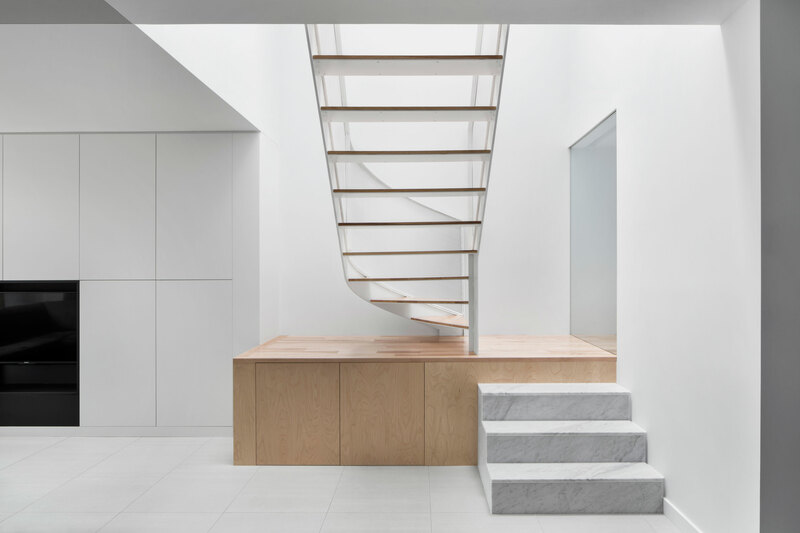 Three entities compose this staircase; the first steps cladded in white marble, a wooden landing cladded in Russian plywood that continues through the family room to become a working surface and finally the circular stair painted white with perforated steel guards and steps in white birch. 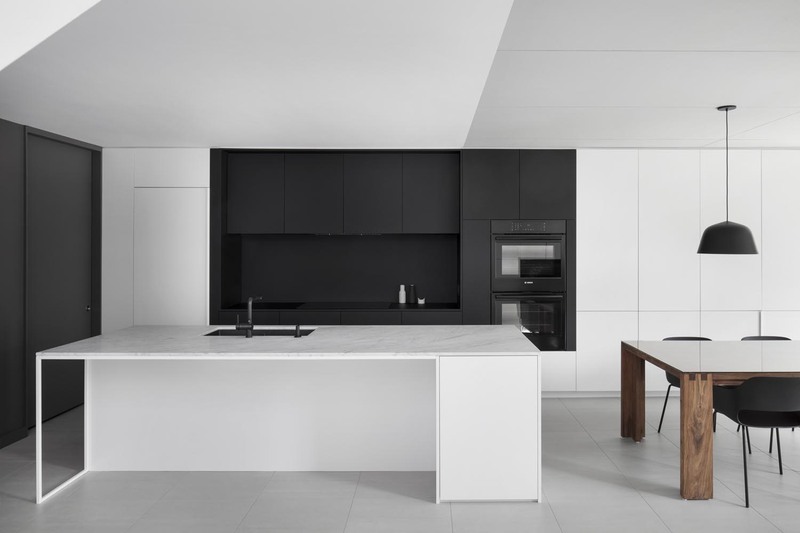 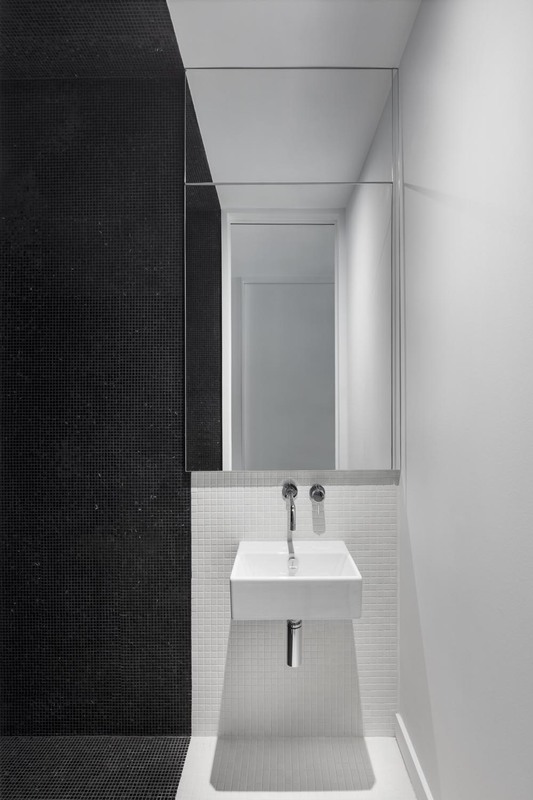 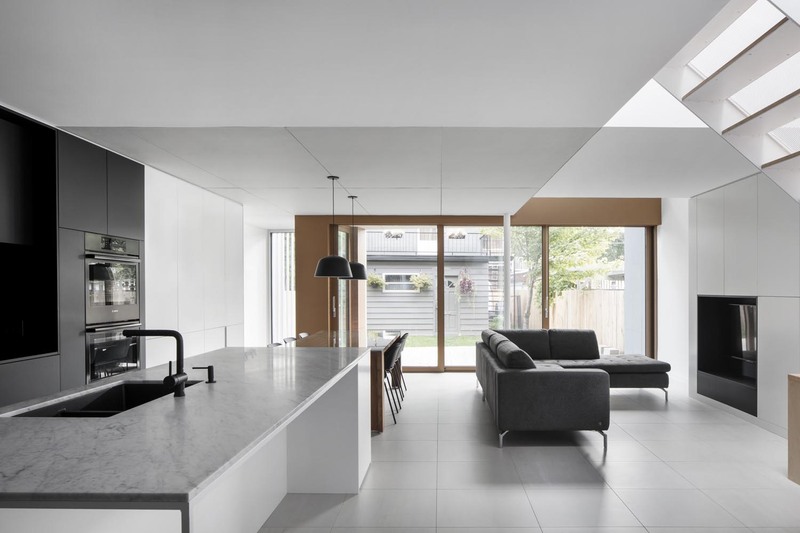 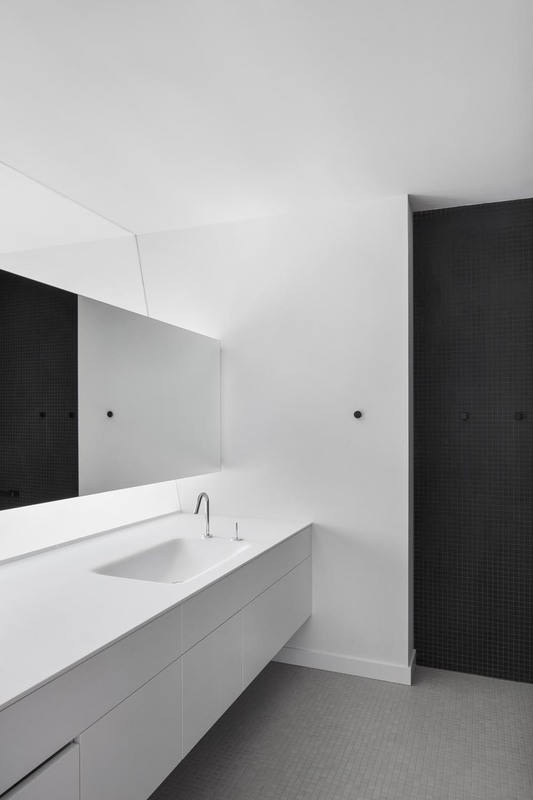 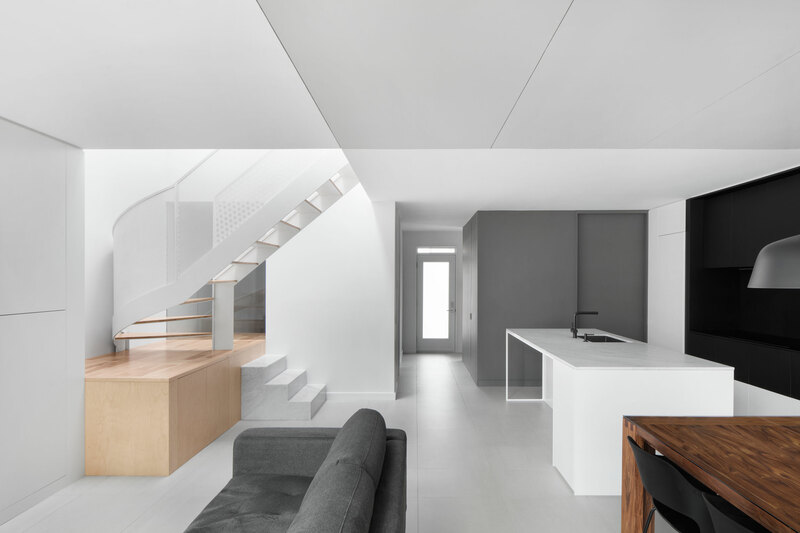 Integrated elements such as concealed doors and furniture combine to tones of whites; greys and blacks contribute in creating a warm and minimalist atmosphere throughout every room in the house.